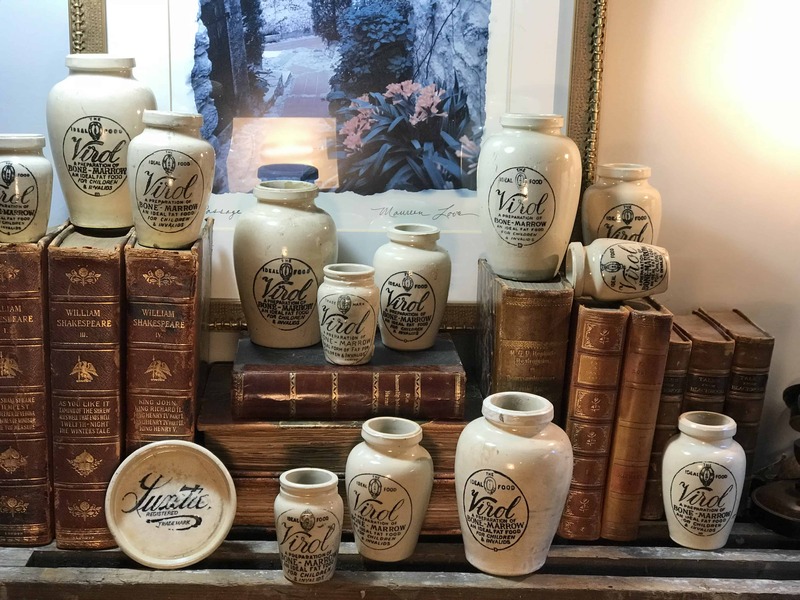 Offering this Large Size Virol Antique Advertising Pot. 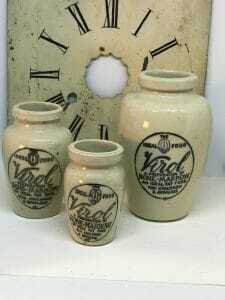 Virol was first produced, experimentally, by the Bovril company at their Old Street, London works in 1899. 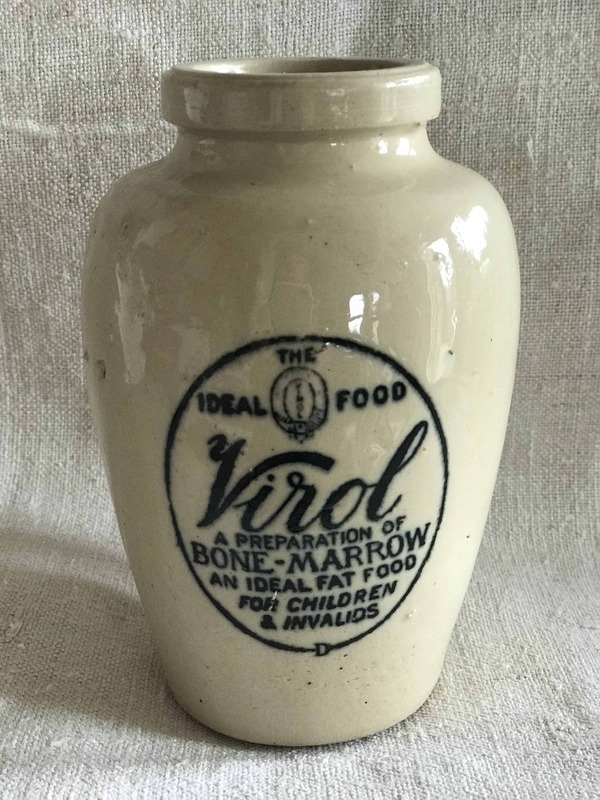 Presumably they decided the product was good for in 1900 the Virol company became a separate section of Bovril and within the decade it was regarded as an independent company. 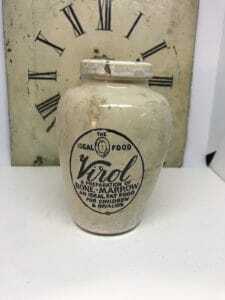 Adverts persuading people to buy must have managed to fill parents with guilt, if they didn’t give their children Virol. Simple phrases such as ‘School children need Virol’ were used in adverts that looked rather like editorial content. The message was also shown on enamel advertising signs. 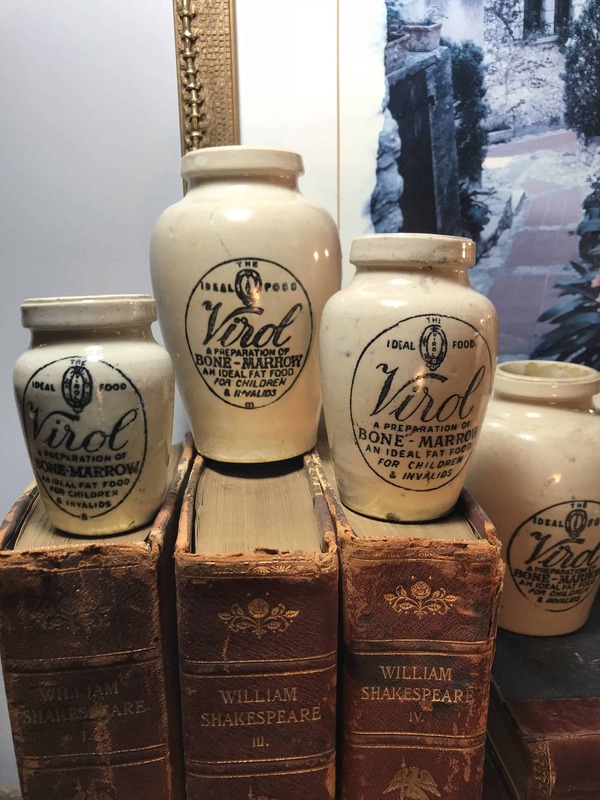 In 1920 production of Virol moved to modern premises in Perivale in Middlesex. 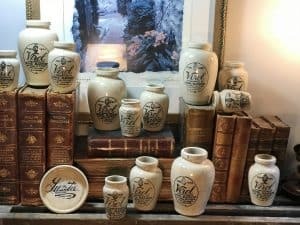 Production ceased sometime during the second world war.